As the population ages and the required functional level rises, it is more and more important that the treatment of musculoskeletal disorders of economic importance would be based on sound scientific evidence. However, it has been shown that the level of orthopaedic and traumatological research is, on average, poor. Unfortunately, most of the treatments provided are based on low-quality scientific grounds. Furthermore, it appears that orthopaedists are eager to introduce new forms of treatment and tools without high-quality research evidence. Recently, however, a few papers on high-quality, randomized, controlled trials (RCT) have been published where surgical treatment has been compared with conservative treatment. The results show that, for example, the surgical treatment of an Achilles tendon rupture is unnecessary and the majority of knee meniscus tear surgeries and shoulder endoscopies are unnecessary. Our research group has shown that the surgical treatment of two common fractures among older people, proximal humerus fractures and wrist fractures, has increased considerably in recent years. The reason for this change is unclear. There are only a few RCT-design studies that compare surgical treatment and conservative treatment. It is difficult to draw a clear conclusion from them due to the small patient numbers, the varying surgical methods and other methodological problems. Conducting a good traumatological study is challenging. In addition to careful planning and implementation, there must be a sufficient number of suitable patients. In terms of patient volumes, none of the Nordic hospitals are large enough to conduct such a large project on their own within a reasonable time. In addition to cultural aspects, the Nordic countries are united by public health care and comprehensive health care registers. For this reason, Nordic cooperation allows for the possibility to carry out more extensive clinical trials. In 2011, our NITEP research team launched an RCT study that compared surgery and the conservative treatment of the fracture of the upper part of the humerus. The Tampere-led study was launched in the Central Finland Central Hospital in Jyväskylä in 2013. In 2013–2014, the study was expanded to include both units of the Karolinska University Hospital in Stockholm. Uppsala University Hospital, Aarhus University Hospital in Denmark and the North Estonia Medical Centre (PERH) in Estonia joined in the autumn of 2015. At present, the study has recruited 173 patients with fractures of the upper part of the humerus. The first results were available in the spring of 2017. 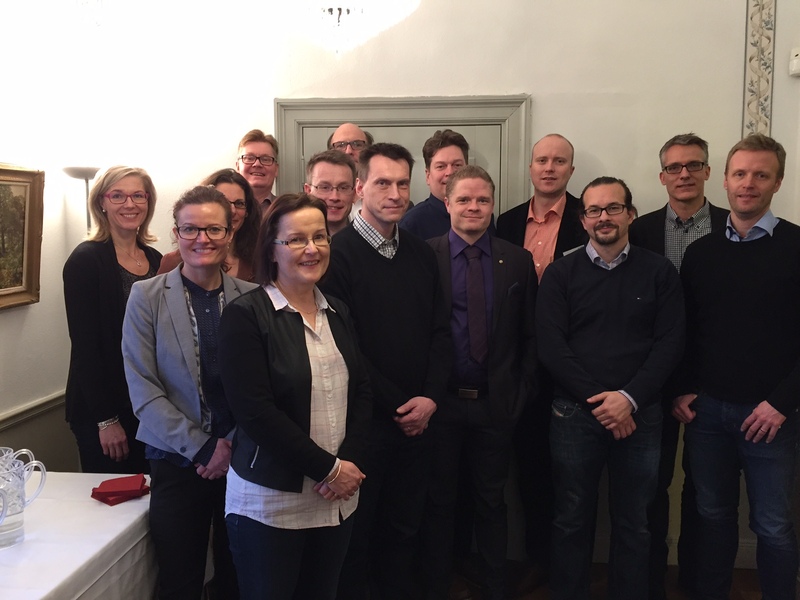 We have created a functioning Nordic cooperation network and research infrastructure. The next major goal of this research alliance is to examine whether surgical treatment produces a better and more cost-effective outcome than plaster treatment in the wrist fracture of an elderly person. In the future, NITEP aims to study the treatment of the most common and economically significant fractures by means of a randomized, advanced research trial (RCT) series.